No images of Natural Technology Systems Installations. Natural Technology Systems has been designing solar power systems for the last 30 years and considers itself to be a leader in the industry. The team can take on a system of any size and can offer advice on every step of the installation process. Natural Technology Systems boasts a team of four top class electricians, a design electrical engineer and two project managers - among others. All solar panel installations are carried out in accordance with Australian standards so customers can rest assured that their new purchase is functioning as well as it can be. System is just installed, not yet operative until Origin reprogram our smart meter. Can't comment on efficiency or after sales service. Chose Natural tech Systems due to strong recommendation from friends. Their quote was pretty much the same as others. Natural Technology Systems (NTS) has been established in SA for a long time. They sell and install excellent products and know what they are talking about. We knew we had to wait, but the outcome was fantastic. The meter box was changed by ETSA the week before the solar system was installed. This meant the solar system was up and running immediately. In fact, even if the solar system was installed at an earlier date it would not have been operational anyway due to the long ETSA wait. The electrician and his team were very professional and courteous and even cleaned up after themselves. All the paperwork was presented to me in a sturdy folder and the inverter, the system and ETSA's workings explained. Even though the system cost more than others that advertise in the papers and tv, you really need to compare the same products and service. With NTS we only paid a very small deposit. We obtained 3 quotes from Solarquotes and 2 others from recommendations. The others asked for a hefty deposit and one even offered a discount if I signed on the spot. I'm not into pressure tactics. Some of the others were salespeople with 'flash' cars, computers and printers. These don't impress me. In fact they are a turn off. I decided to go and speak with the owner of NTS after I emailed him many times. I asked many questions with multiple emails and answers were detailed and informative. (Solarquotes helped me gain extra knowledge and know what to look for and ask too.) 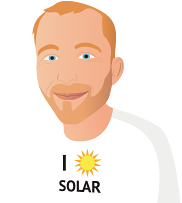 The owner of NTS took his time to discuss solar energy and look at the best options too. At the end of the day the home owner is left with the system. Spending a few extra dollars to source great products and service makes sense. As well as home visits before signing out, go and visit the business and take your time deciding. Ask friends of their experiences, too. I found out who not to go with as well. The saleswoman was very friendly, knowledgable and supplied much information directly via emails. Had ongoing communication before I decided. Through advice decided to go for a larger system as this offer besta value for money. Inverter supplied was able to handle the 2 extra panels. Did not have to pay anything until system was installed and did not have to wait very long from date of signing contract. Previous salesman (other company) tried to get me to sign up on day of quote by supposedly offering large discount. So gald I resisted - would have ended up paying about the same price for a smaller system.